The use of unmanned aerial vehicle (UAV)-based spectral imaging offers considerable advantages in high-resolution remote-sensing applications. However, the number of sensors mountable on a UAV is limited, and selecting the optimal combination of spectral bands is complex but crucial for conventional UAV-based multispectral imaging systems. To overcome these limitations, we adopted a liquid crystal tunable filter (LCTF), which can transmit selected wavelengths without the need to exchange optical filters. 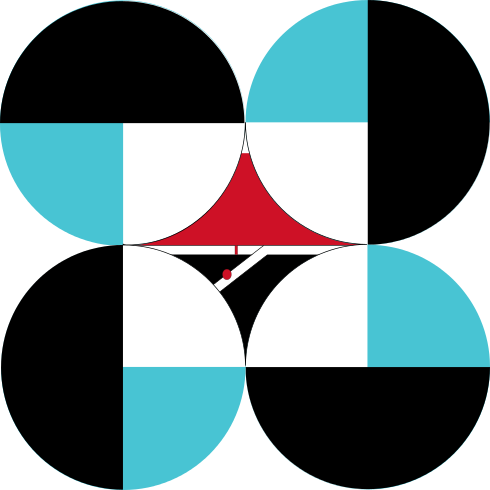 For calibration and validation of the LCTF-based hyperspectral imaging system, a field campaign was conducted in the Philippines during March 28–April 3, 2016. 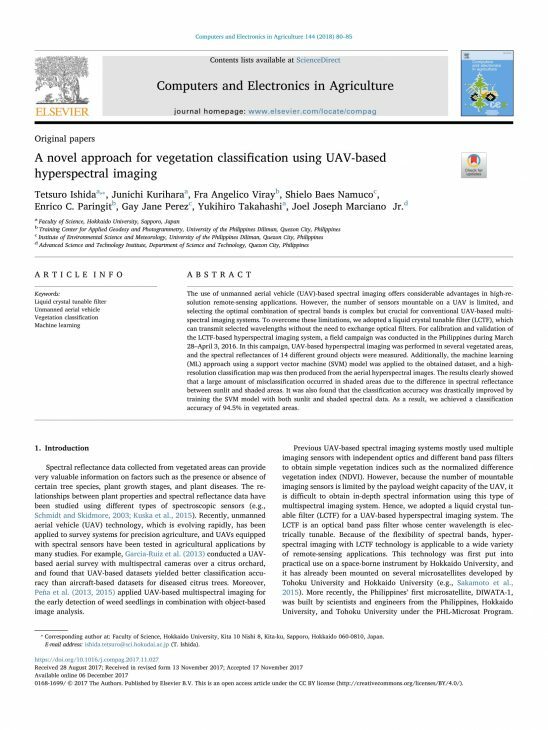 In this campaign, UAV-based hyperspectral imaging was performed in several vegetated areas, and the spectral reflectances of 14 different ground objects were measured. Additionally, the machine learning (ML) approach using a support vector machine (SVM) model was applied to the obtained dataset, and a high-resolution classification map was then produced from the aerial hyperspectral images. The results clearly showed that a large amount of misclassification occurred in shaded areas due to the difference in spectral reflectance between sunlit and shaded areas. 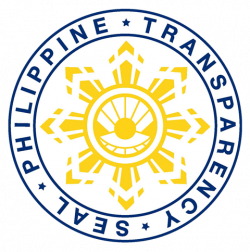 It was also found that the classification accuracy was drastically improved by training the SVM model with both sunlit and shaded spectral data. As a result, we achieved a classification accuracy of 94.5% in vegetated areas.